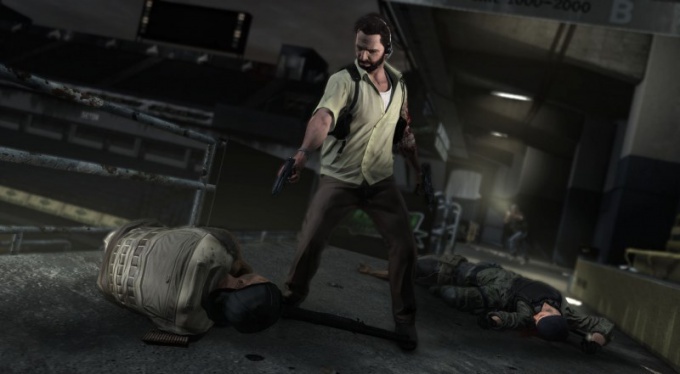 Max Payne 3 is the long awaited sequel to the cult game. Since its birth it's been a decent amount of time and some users might face several specific problems. For beginners the main problem could be directly running the game Max Payne 3. In principle, there is nothing complicated. If you purchased a digital copy of the game, then first you need to download it from the service, and after that to start the installation. If you purchased a disc, then insert it into the drive and wait for autoload. After launching the application opens a special dialog box where you confirm the license agreement. Then you just need to follow the instructions and specify the installation path. Upon completion of the installation procedure you can run the game but in that case, if the user does not have account in RockStar Social Club, then play will not work. This requires either go to their official website and using the registration procedure to make a profile, or directly in the game to pass the procedure of its creation. For this you will need to specify a username and password to the account email, enter the name and date of birth. After mail will receive a confirmation email, you will need to click on the link to activate your account. Then you can enter the game under the specified data, and enjoy it. It is worth noting that the setup procedure and create your account in Social Club is not the only problem facing players. For example, the game may conflict with the antivirus software installed on the computer and not run because of this. Enough to disable antivirus and run the game. If this does not help, then possible conflict with user account control. To solve the problem you should disable this feature. You need to open "control Panel", select "user Accounts" and then "control Settings user accounts". In the appeared window it is necessary to move the slider until you see the words "Never notify" and save changes. In addition, it is desirable to run the game with administrator rights. To do this, click on the shortcut to Max Payne 3, right-click and choose "Properties". In the window that appears, set the tick next to "Run as administrator". It should be noted that in this case the user will need confirmation from the system administrator. The game may not start because of the lack of certain components or the presence of their older versions. It is advisable to update Microsoft .NET Framework to version 3.5 to install the Microsoft Visual C++ 2008 SP1 and also update DirectX (only supported DirectX 9 and DirectX 11). As a result of all these manipulations the game Max Payne 3 will have to start.